For Rob McWhirter, real estate is the family business. A fourth generation real estate agent, Rob has been involved in residential and commercial real estate projects since he could drive. He joins Compass to take his business to the next level. "I've learned firsthand through my family's legacy, the importance of working with a firm whose core values are based on integrity, trust and relationships," explains Rob. "Compass is the best real estate service firm in North Texas, and working with the best in the industry means I am able to give the best to my clients." A Texas native, his roots in the industry run deep. 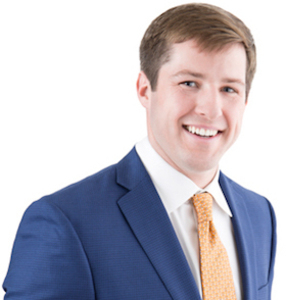 His great grandfather was President of the Texas Association of Realtors, his grandfather was President of the Fort Worth Association of Realtors, and his mother is currently a real estate instructor at TCU and partner at Purvis Real Estate Training Institute. Rob carries on this tradition of excellence while utilizing his strong negotiation skills and work ethic to provide exceptional service and successful transactions for his clients. "The sustained, annual increases in economic, business and population growth in Texas means there is significant demand for real estate services. I am excited for the opportunity to expand my business as the market and economy continue to grow. WithCompass, there are unparalleled marketing resources and a high profile brand. The opportunities and relationships with Dallas' real estate leader will open doors for my clients that aren't possible anywhere else," says Rob. Rob holds a Bachelors of Business Administration with an emphasis on Business Marketing from the University of Alabama, Tuscaloosa. When the historic Category 4 tornado devastated the Tuscaloosa area in 2011, Rob was one of the first volunteers for the Black Warrior River and Tornado Relief Clean-up. He is actively involved in the Fort Worth/Tarrant County area community and is a new member of the Make-A-Wish Foundation. Rob lives in the River Crest/Arlington Heights area of Fort Worth. He believes that life is better outside and enjoys hunting and fishing, as well as baseball and recreational motorsports.